WestJet has dropped the price of some of their April/May/June flights from Edmonton to Orlando, Florida down to $308 CAD roundtrip including taxes. This is a new record for the cheapest flights between Edmonton and Orlando, Florida. There's not a ton of dates available, so this may sell out pretty quickly. Disney World still has their promotion going on for 25% off of 4-day (or longer) theme park passes for Canadian residents. Apr 13, 14 -- new! 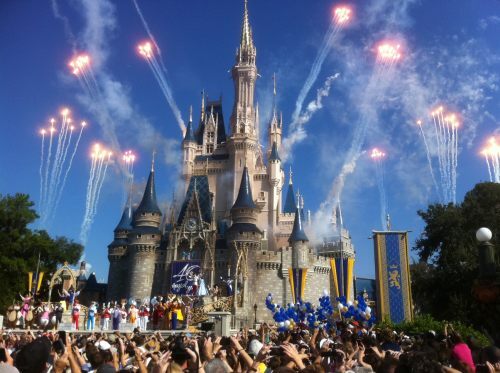 Update 3/6 - 1-stop flights from Edmonton to Orlando, Florida in May, June, and September are available for $302 to $307 CAD roundtrip including taxes with WestJet and Air Canada. 2. Select your flights and click through to the Air Canada or WestJet website. OR, if the flight doesn't seem to be bookable through Google Flights, you can try going to Momondo.ca and searching for the same dates. Update 1/18 - A few April dates have now dropped to $303 CAD roundtrip including taxes. The dates have been added to the list above. edmonton, yeg, westjet, flight deals, orlando, florida, mco, north america and disney world.